Sew what's cooking with Joan! 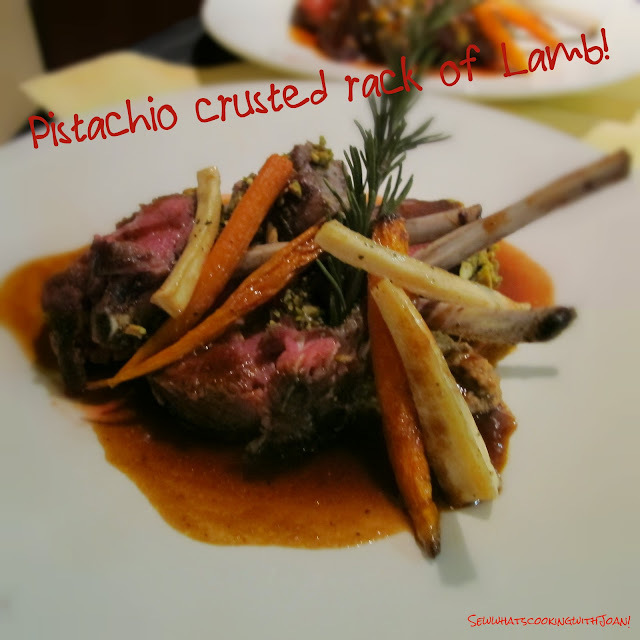 : Pistachio Crusted Lamb Rack........Yum! Yesterday, I had the privilege of attending Chef de Cuisine Joe Worrell's cooking class at Constantino's, one of our club house restaurant kitchen's, in our community of Desert Mountain. 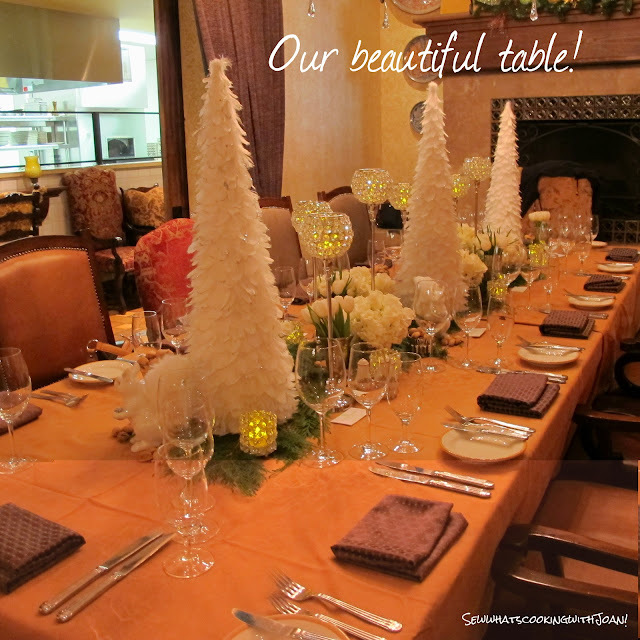 I couldn't resist putting this in today, as it is just over the top, exploding with the flavors of the season! As the afternoon progressed the kitchen was filled with the incredible aroma of garlic, lemons and juicy lamb. We definitely achieved a good two thumbs up from Chef Joe Worrell, for perfectly executed Rack of Lamb. Hailing from Canterbury, lamb is one of those dishes that we make to feed the hoards when celebrating a special occasion. It is a simple dish to make for entertaining – lamb rack cooks quickly and the meat is tender and succulent. This crunchy, salty pistachio crumb really complements the sweetness of the meat. This dish is so easy to make and the results are so tasty! We served it with cauliflower puree (guide follows) and roasted carrots and turnips. 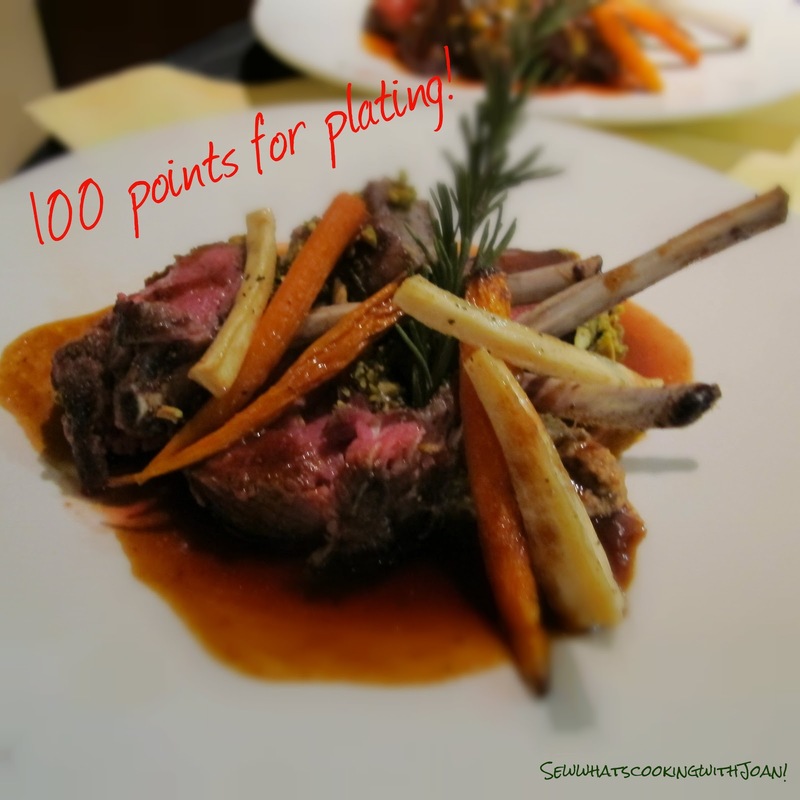 There are many options – another great side is roasted cherry tomatoes: simply wash sweet cherry tomatoes and throw into the roasting dish with the lamb. The tomatoes will cook in the fat from the lamb and their intense sweetness makes a nice contrast to the salty pistachio crumb. You could also par-boil some floury potatoes and throw them in too – they will crisp up and make a whole meal in one dish. Enjoy! Pick the Rosemary leaves and put in blender along with the garlic cloves and oil; blend until smooth. Chef Worrell demonstrating how to clean the lamb rack. 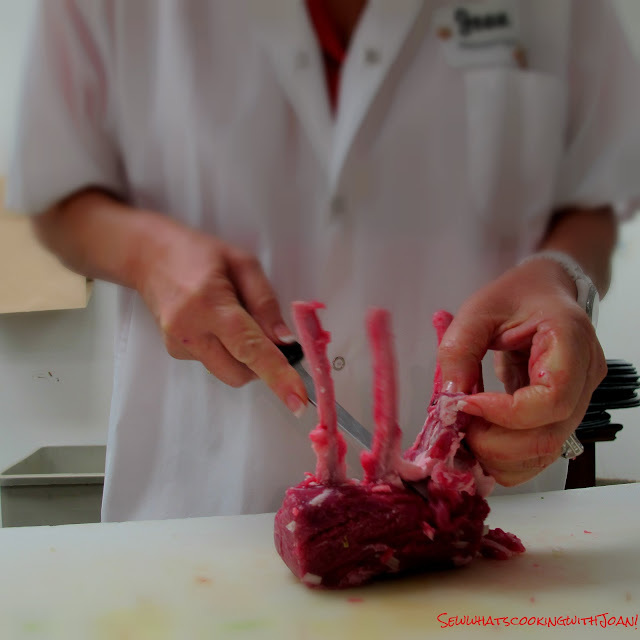 You can skip the cleaning step, by asking your butcher to french the lamb rack. 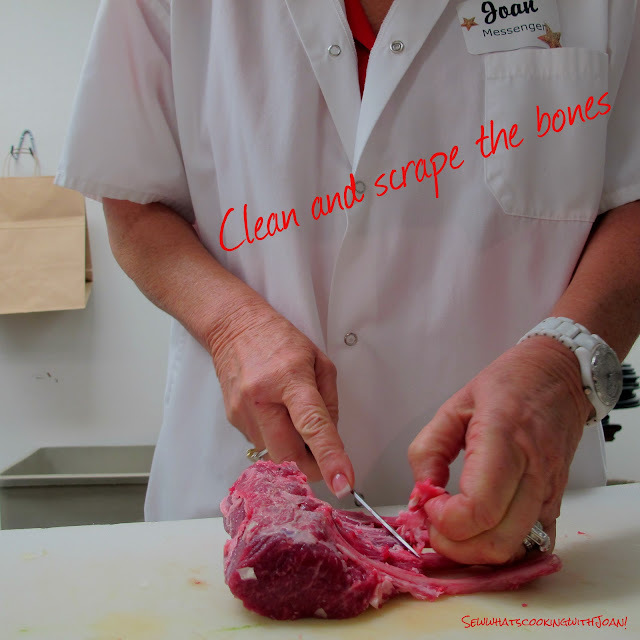 Scraping the bones, produces nice white bones after cooking, which is preferred. Another trick is to wrap a white napkin around the rib for an hour, after you've cleaned them, to produce even whiter ribs! Take the napkin off to cook. Pick the rosemary leaves and put in a blender along with the garlic cloves and the oil; blend until smooth. Rub with herb marinade on the cleaned ribs and let it rest for 1 hour in refrigerator then season with salt and freshly ground pepper. Then, sear in hot pan, and chill. 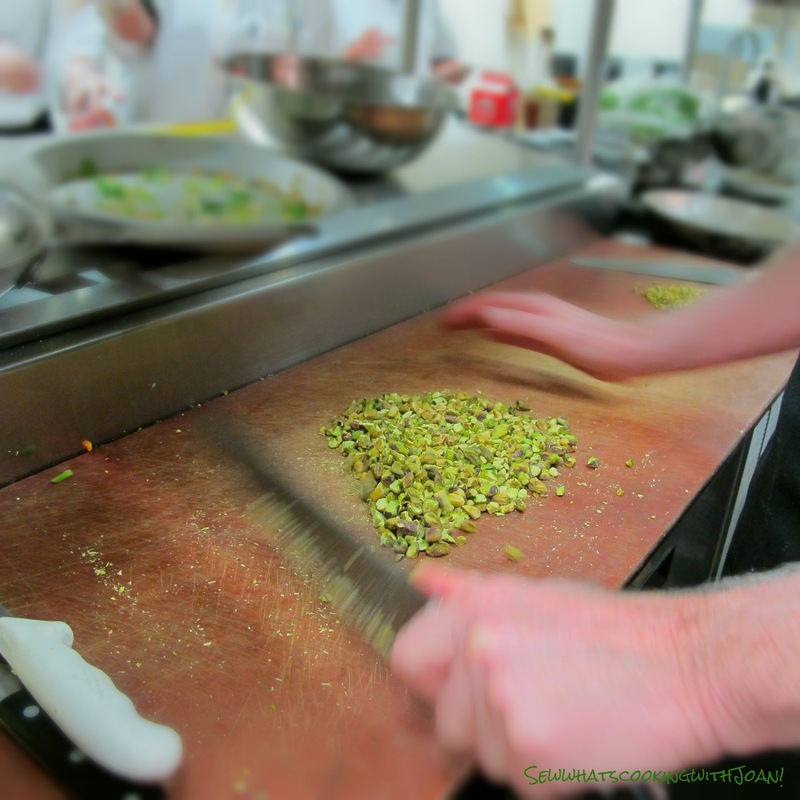 Toast the pistachios and cool down to room temperature, chop with knife or crack with pan. Once the lamb is chilled rub the loin with some dijon mustard and dunk in the chopped pistachios. 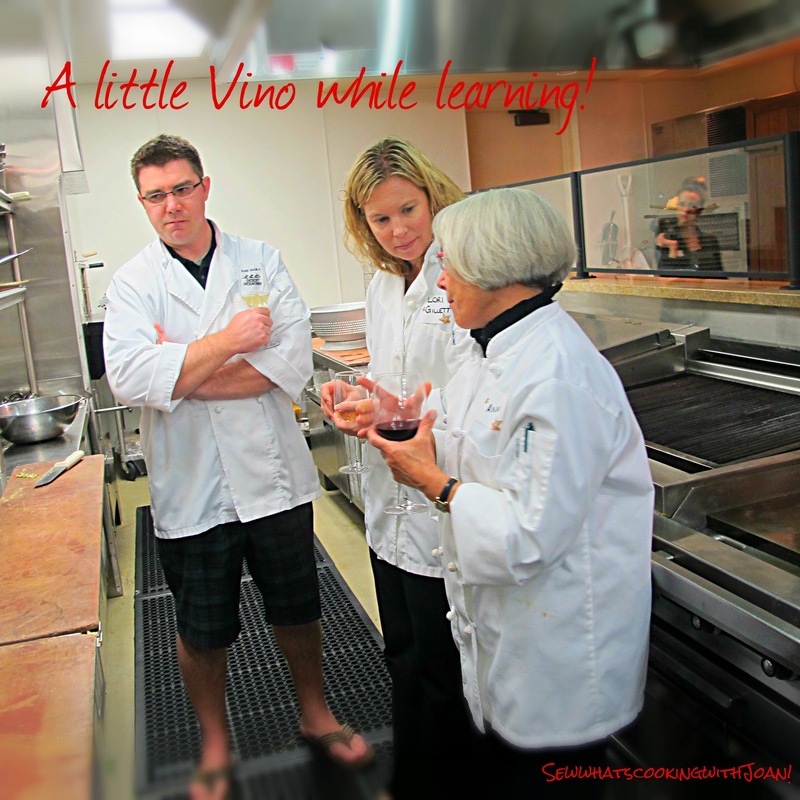 Cook in a 300 F oven until medium rare or 115F on a meat thermometer. Allow to rest for 5 minutes and then slice. Toss cauliflower florets and peeled garlic cloves in the olive oil until coated, I guess on the amount of olive oil. Roast in oven at 375 degrees until the cauliflower is cooked and a fork pierces the stems easily. The timing will depend on how large you leave the cauliflower pieces, but it usually takes about 20 minutes. Don't let the cauliflower burn, but I think the slightly browned edges add character and flavor. The garlic should also be very soft by now. Put the roasted cauliflower with the garlic cloves into a food processor along with butter (optional) and the 1/2 cup non fat sour cream. Pulse-puree until the mixture is smooth. Adjust seasonings as necessary and serve warm. The holidays bring us so many joyous things. Sharing time with family, watching your boss do a drunken version of "Gangnam Style" at the office party, and of course, those special meals. This super easy rack of lamb recipe has special written all over it – well, actually more like has special all pressed into it. I think my son in law, Nate, will love it! He loves pistachio's and I am always throwing some in the cart at the grocery for him!! As far as the crust goes, it is rich with sweet pistachios to the traditional Dijon mustard crust. This gives the lamb such an interesting flavor and texture. It may be my imagination, but I think there's something about what makes the pistachios green (chlorophyll? ), which makes it pair so perfectly with the meat. It also looks pretty cool. 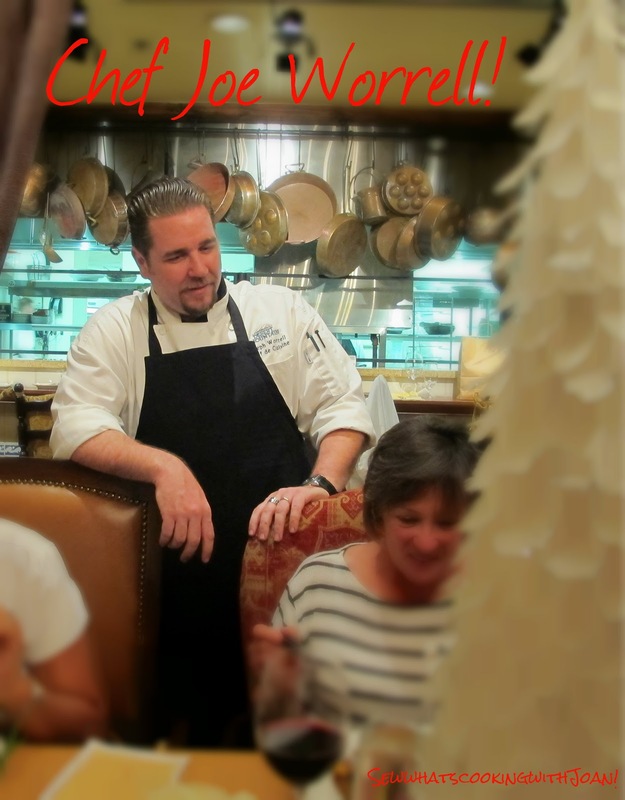 Sure, rack of lamb is a little pricey, but no more so than other special occasion meats like prime rib, beef tenderloin, or goose – and since they're sold completely trimmed, you'll have virtually no waste, unless you buy them like Chef Worrell did....of course he has staff!! Also, if you haven't had lamb in like the last 20 years, you're in for a nice surprise; the meat is lean, tender, and not at all gamey. See you on Friday with Sweet One! Lamb is a favorite of ours, and always have over the holidays. 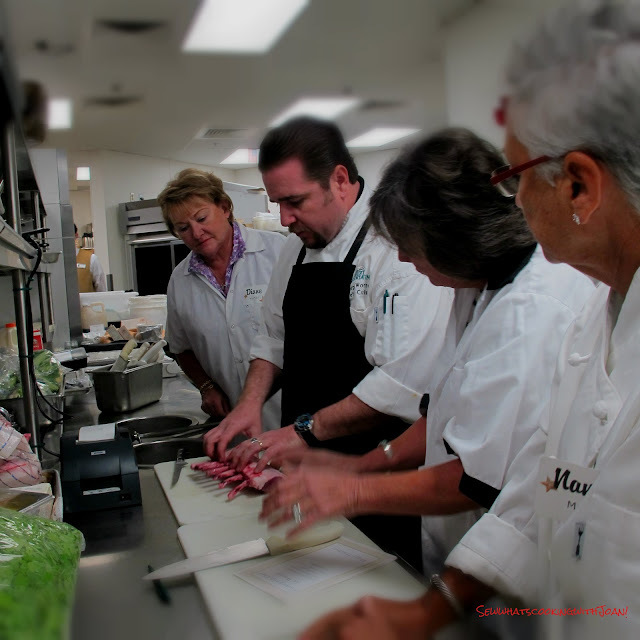 We found a butcher years ago who does everything but cook it for us. Lovely recipe. @ Autism Information- I am happy you enjoy lamb, I think you'll love this recipe! Cheers!